When I was six years old, we moved west from our farmland home in Iowa. 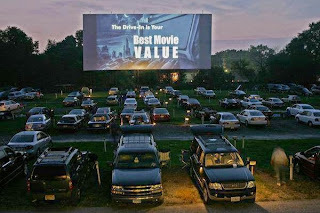 At the end of the road was a new home, and a completely new phenomenon for me – the drive-in movie. This was back in the days when you would spend your entire career at the same company. Being a loyal credit sales supervisor for the hardware chain Gambles-Skogmo, Inc., my father was subject to a regional reposting to the Denver area – and when they told you to go, you went. The movers came, we got in the car, mom and dad in front, myself and my infant sister rolling around loose on the back seat (seat belts were not legally mandated until a year later). Surprisingly as it may seem now, the Jefferson County public schools west of Denver were highly rated (they are now mired in controversy and protest for suppressing negative U.S. historical information from their advanced-placement curriculum). This spurred my parents to settle down in the bedroom community of Arvada, Colorado – it turns out that we were only 12 miles downwind from a nuclear weapons plant, but that’s a whole ‘nother story. My primary impression of that ride was straining to see the mountains loom in the distance. That shut me up for about an hour after we crossed the Colorado border; they finally sprang into view near Keenesburg. In the midday sun they lacked all depth and definition and looked to me like painted stage flats. We didn’t take possession of the house that night. Instead, we put up at a motel, staying on the second floor. After eating and getting ready for bed, I was told by my father to look outside. I was flabbergasted. 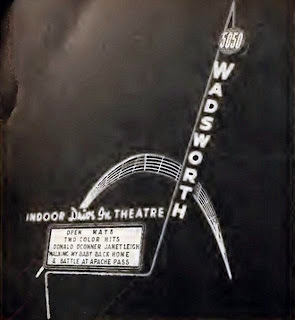 I was absorbed by Maurice Binder’s patented stylized title sequence. I saw them bury Bond at sea. His bandage-swathed corpse sank to the bottom. But wait! Here came some scuba divers! Of course, my parents continued their long tradition of showing me something fascinating and then telling me to go to bed. They had to pry my clutching fingers from the balcony railing and drag me inside, whining. It took about five years until I could actually see the whole film and finally satisfy my curiosity. (Spoiler alert: Bond doesn’t die . . . I had worried.) The exuberance of Roald Dahl’s extremely free adaptation of Ian Fleming’s source novel is grandly scaled, full of plot holes and non sequiturs. The film opens with kidnapping and murder in outer space, then kills Bond and resurrects him. THEN shoots him out of a torpedo tube. This film sports the best incarnation of Bond villain Blofeld as well, the inimitable Donald Pleasence. With his blank stare and quietly creepy sense of menace, it’s a performance that seems now to be predestined for parody (Mike Meyers’ Dr. Evil). It’s not often you get to write or recite lines such as, “The firing power inside my crater is enough to annihilate a small army,” and the mishmash of enormous filming stage, miniatures, and just-flat-bad rocket animations pushes “You Only Live Twice” into the state of fever dream. The male fantasies of power find their perfect distillation in Connery’s Bond, a great, hairy Scotsman who happens to be a genius at killing people and destroying things. Charming without being pleasant, his Bond is a superman sans cape, he beds everything he meets with a reflexive carnivorousness. And his associates keep herds of women around – even good-guy “Tiger” Tanaka grandly states, “I will share all my possessions with you,” as a cross-fade brings up a serving line of bikinied Japanese women at his home, ready to service whoever their boss brings home, evidently. We were being indoctrinated, but it didn’t quite take. The American New Wave was a year from arriving, and the cascade of changes in film, and the social revolutions of the ‘60s and ‘70s, would shatter the suppositions that came before . . . to a degree. Bond films still make money, and Bond’s descendants populate almost every action movie made. 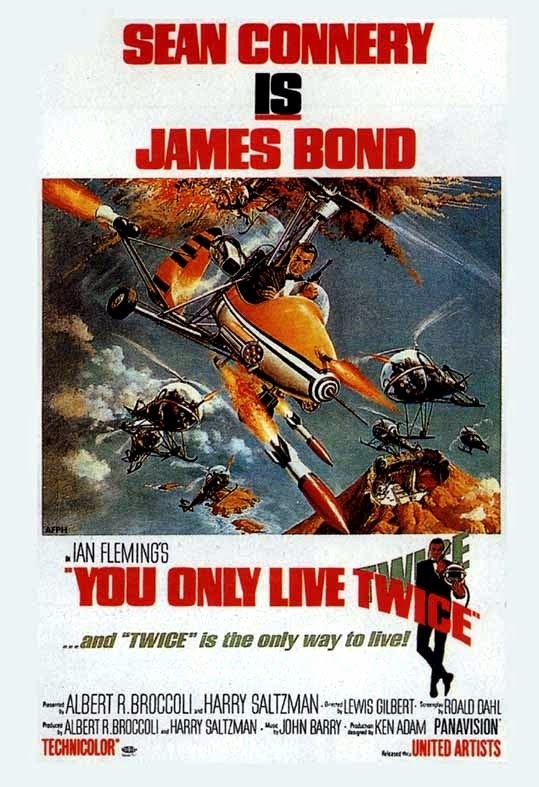 In retrospect, “You Only Live Twice” is for me the last unambiguously self-assured Bond film -- the last before Connery’s hiatus of discontent, and the imposition of a wife on the next Bond, George Lazenby, in “On Her Majesty’s Secret Service.” When Connery returned in “Diamonds Are Forever,” the fun seemed gone, the sexist platitudes stale and anachronistic. The series began to comment on itself, a gamy, joking self-awareness that would expand during Roger Moore’s tenure as Bond. Only after much struggle during the Timothy Dalton and Pierce Brosnan years would the Daniel Craig reboot restore a thuggish complexity to Bond’s character. Meanwhile, the drive-in wouldn’t become a focal point of my film-watching career again until we got driver’s licenses and used them as places of refuge for forbidden behavior. We’ll get to that in a few more chapters.